This San Fernando Valley native got his first big break came when he landed a place in the renowned L.A. improv troupe, "Groundlings," which has served as a launching pad for a number of prominent comedians over the years. 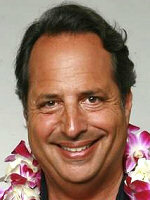 Lovitz became a cast member of SNL from 1985-1990. He has acted in the films Lost and Found and Happiness.